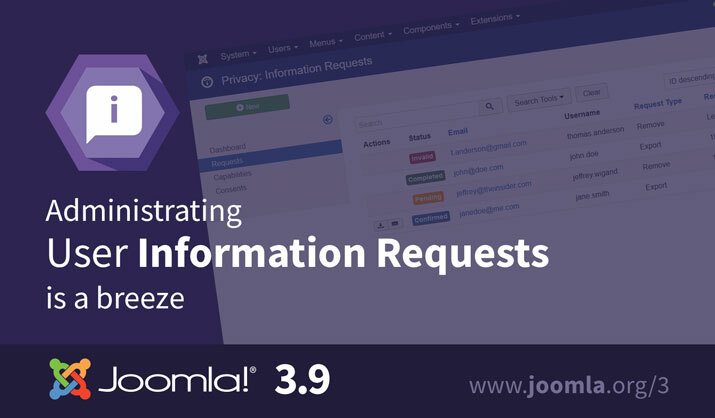 User data removal requests are handled automatically, with all personal data anonymized without you needing to lift a finger. Never forget a request. 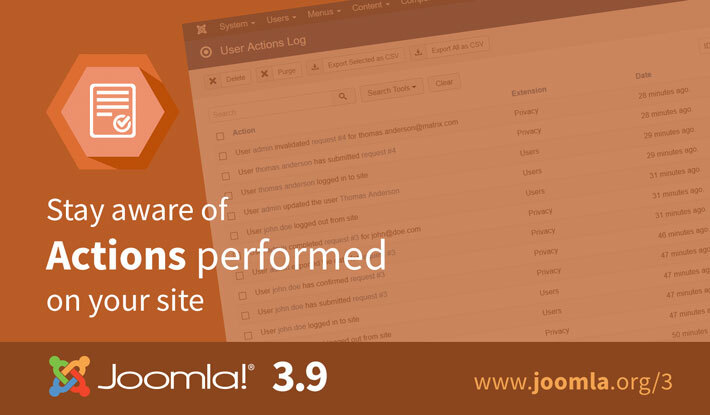 Just set Joomla 3.9 to remind you. Extension developer – give your potential users a helping hand, by making it clear what data your extension collects. When you want to report functionality in your extension that may need privacy consideration, simply use the new Plugin Event (onPrivacyCollectAdminCapabilities). Need even more ways to stay compliant, without the headache? Want handy extensions such as Cookie Consent? 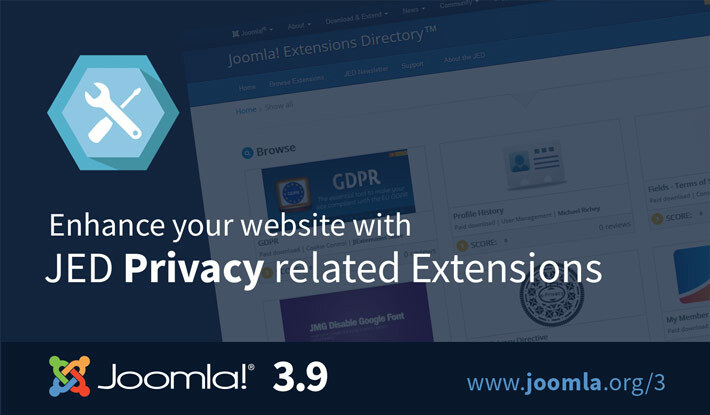 Take a trip to the new Data Privacy extensions section on the Joomla Extensions Directory (you could say our developers have been busy!). You already add notes to your modules, categories and menu items to help you manage your site. And now you can do the same with your articles. On top of that, you can also filter your articles by notes. Searching for a specific content to edit? 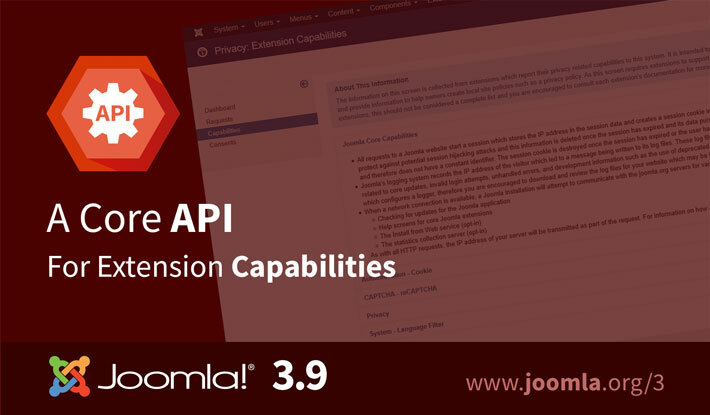 Joomla 3.9 saves the digging around. Simply enter content:mycontentherein the search bar and the system finds it for you in milliseconds. A repeatable custom field now allows you to have more than one value and more than one field type per custom field. Thanks to the support of our layout system, you can now create alternative layouts – for Custom Fields that work the way you do. A fresh way to use the Newsflash Module! Want to display your Intro or Full article images in your module? Now you can do either, all by just changing a setting. A couple of brand new filters for even more homepage versatility! The latest articles module allows you to show only articles from a specific author, while the articles category module lets you display your tags, group your articles by tags, and display them by date field.